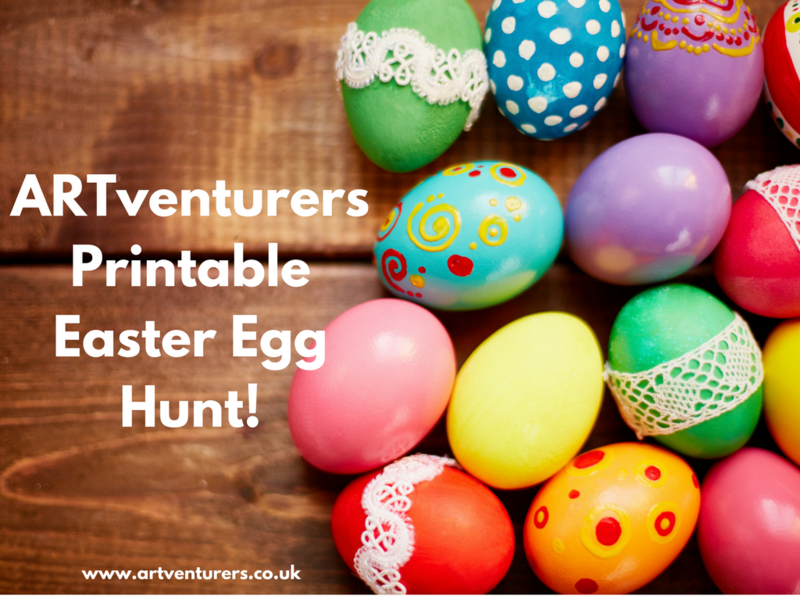 If you’re planning an Easter Egg hunt this Easter then our ARTventurers Printable Easter Egg Hunt is EXACTLY what you’re looking for! 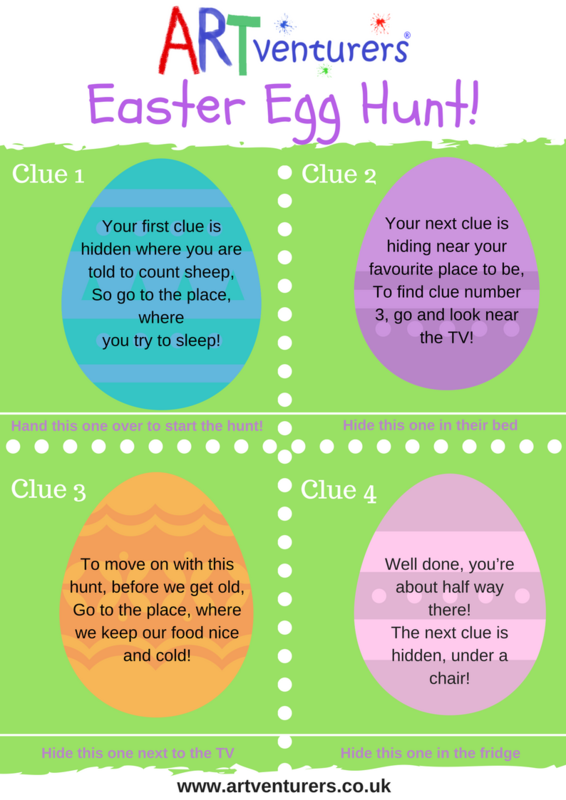 All you need to do is download, print and cut out the Easter egg shaped clues then hide them in the places indicated – and of course hide the prizes at the end of the hunt! 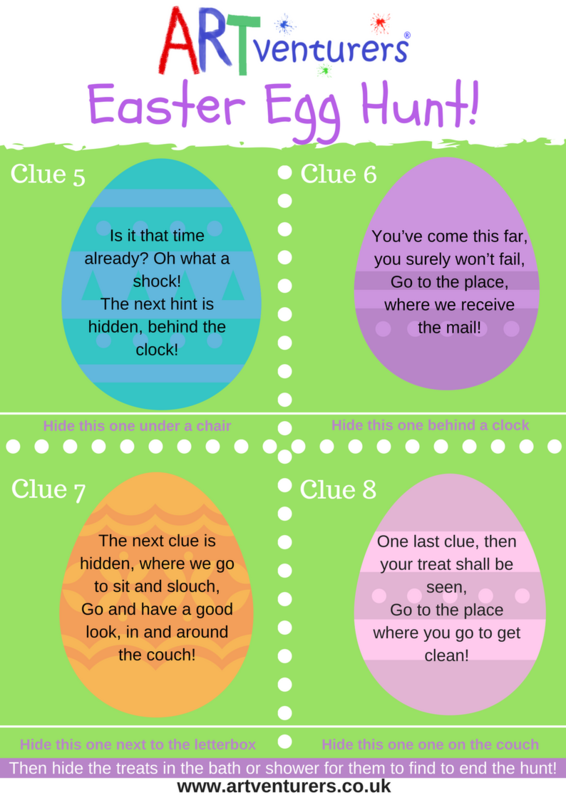 We’ve kept the clues simple for little ones, and all indoors too just in case (yet again!) the good old British weather lets us down! 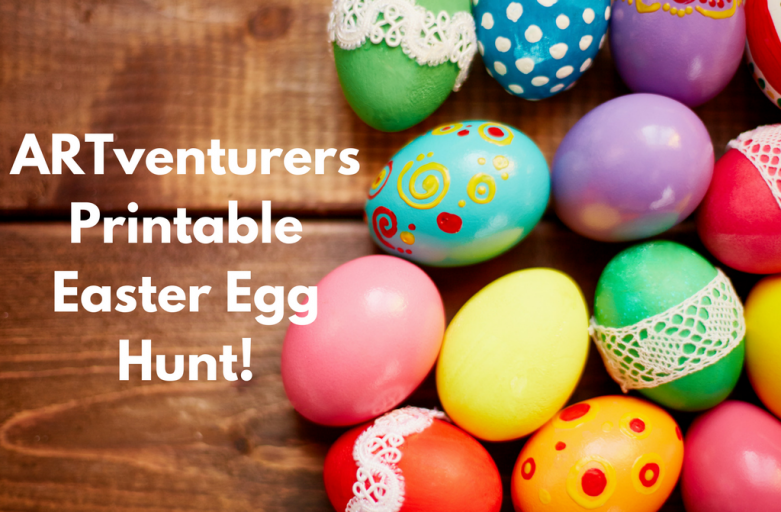 Downloadable and Printable version of the Easter Egg Hunt here! Enjoy – and if you do have any photos of your hunt we’d love to see them! You can also create a magical Easter morning using our Easter Bunny Footprint Stencil Template! AND we’ve got Ten Quick and Easy Easter Egg Decorating Ideas! 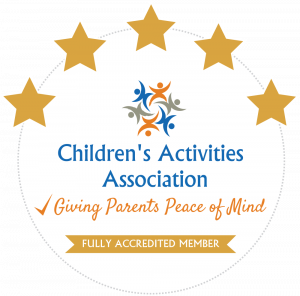 for you to try too!